Here’s why this could be the biggest deal of the season. Several major retailers have in recent weeks relieved their workers from having to spend their mornings waiting for their boss to tell them if and when to show up for work. J. Crew recently joined a group of several other top retail chains in dropping on-call scheduling—the system that requires workers to make themselves available for a shift with no guarantee of actually getting any clocked hours. Under on-call scheduling, workers generally must be ready to be called in for a shift just a few hours beforehand, and often that meant wasting valuable time by not being called in at all. In addition to J. 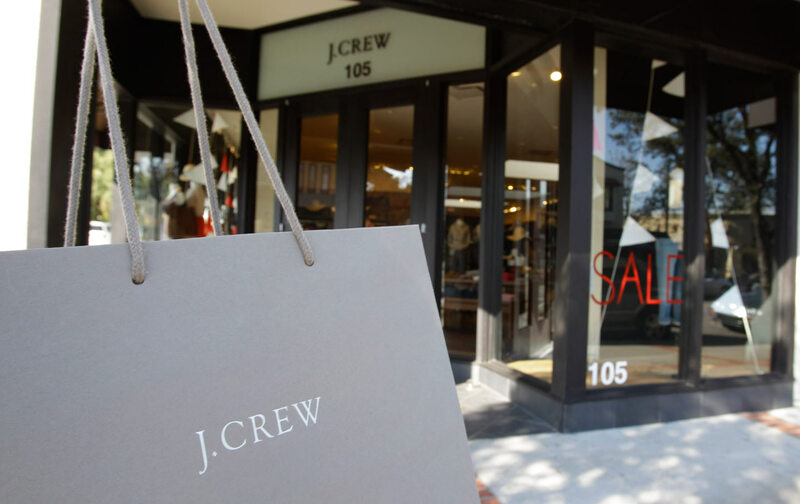 Crew, Urban Outfitters, Gap, Bath & Body Works, Abercrombie & Fitch, and Victoria’s Secret, and various affiliated brands, have announced that they’re phasing out on-call nationwide. These retailers backing down from on-call scheduling will affect roughly 239,000 retail sales workers nationwide. Nationwide two-thirds of food service workers and over half of retail workers have at most a week’s notice of their schedules. Part-timers and black and Latino workers disproportionately work irregular schedules. According to National Women’s Law Center, over half of workers surveyed “work nonstandard schedules involuntarily because they could not find another job or ‘it is the nature of the job.’” The “nature of the job” reflects the nature of our current economy, which has redefined labor as a seller’s market for employers, while union power and labor protections have disintegrated. On the regulatory front, as reported previously, some state laws and San Francisco’s new Retail Workers Bill of Rights provide reporting time pay (compensation for unplanned shift changes), and safeguards for stable hours. A fairer schedule system isn't difficult to imagine if we start with the premise of honoring workers’ time. California, New York, and other states have recently introduced fair-scheduling legislation, including reforms that provide workers with negotiating mechanisms at work to make scheduling procedures more democratic, and limits on consecutive hourly work shifts. Nationally, the proposed Schedules That Work Act would provide similar protections for advanced notice, reporting time pay and the right to bargain schedule changes. The basic principle that drives labor advocates is predictability in both time and earnings, which counterbalances the service industry trend toward precarious low-wage jobs, pushing workers into part-time, temporary, or unstable contract work. The opportunity cost of abusive schedules drives financial insecurity, impedes career advancement, and hurts families. Erratic hours can interfere with childcare arrangements and medical care, and are linked to increased marital strain and long-term problems with children’s behavioral development. Sometimes, it’s just humiliating. Like when Mary Coleman got sent home from a shift at Popeyes and ended up effectively paying not to work. As a campaigner with FWI, the grandmother described the experience as a theft of precious time and wages: “When I get to work only to be sent home again, I lose money because I have to pay for my bus fare and hours of time traveling without any pay for the day.” Under a reporting time pay system, however, she might instead have been reimbursed for showing up, instead of bearing the cost of her boss’s arbitrary decisions. “The idea is that if you need this level of flexibility for your workforce, that’s something that has value, being able to have a nimble workforce that’s ready when you need them,” Gleason says. In fact, honoring the workers’ overall role in an organization, not just hours clocked, is akin to the salary system. White-collar professionals often voluntarily exceed a 40-hour workweek and feel duly rewarded with their annual compensation package. A fairer schedule system isn’t difficult to imagine if we start with the premise of honoring workers’ time in terms commensurate with the value of what they’re expected to produce—whether it’s impeccable service at peak-demand time, or a good cappuccino. And that’s why unions and other worker-led organizations, which understand a job’s real meaning in the context of workers’ lives, have historically been instrumental in shaping wage structures through collective bargaining. Though unions have withered, smart policy changes and grassroots organizing networks are carving out more autonomy and control for labor over the course of a workday. The byzantine, unstable scheduling systems that dominate low-wage industries aren’t really “the nature” of today’s jobs so much as the result of a society that deeply undervalues workers’ lives, whether that’s the value of a parent’s time with her children, or the time invested in a college degree. In a “just in time” economy, employers put a premium on consumer convenience and business logistics. But as boundaries blur between work and home, the “new economy” challenges workers to finally reclaim their stolen time.